A silent screen idol, Rudolph Valentino was eulogized at memorial services Tuesday as the man who “filled a need” for women who lost their loved ones in the first World War. About 50 persons, most of them middle-aged or elderly women, attended that memorial service that marked the 34th anniversary of Valentino’s death at the peak of his career. Former silent film star James Kirkwood, a life-long friend of Valentino, and Belle Martell, also of the silent screen era, both spoke in the solemn service at Valentino’s crypt at Hollywood Memorial Park. Absent for the third straight year was the “Lady in Black”, who formerly made an annual pilgrimage to the crypt. Miss Martell insisted this is not just a bit of showmanship, not a carnival. 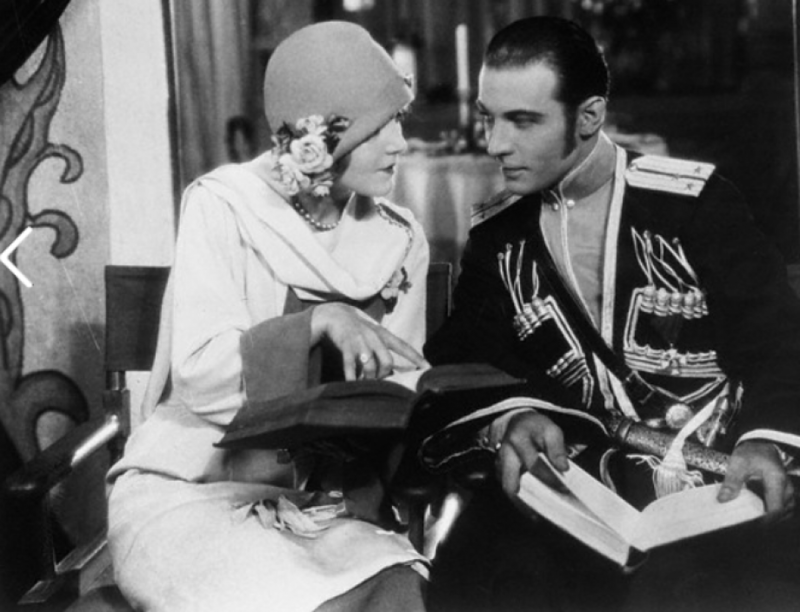 Rudolph Valentino was a great artist with a great big spark of genius. Kirkwood quoted from Hamlets speech to Horatio “Thou has been as one, suffering all…” and recalled the “great qualities” of the silent screen star whose “Son of the Sheik” recently was shown in a new television series.